One size doesn’t fit all! Alloy USA Grande Axle Tube Seals are specifically designed for 2007-10 JK Wranglers, 2003-06 TJ Wrangler Rubicon’s, and all 87-06 Wranglers, 84-01 Cherokees, and 93-98 Grand Cherokees with upgraded 30-spline DANA 30 front axles. These seals keep water, mud and debris from entering your front axle housing. 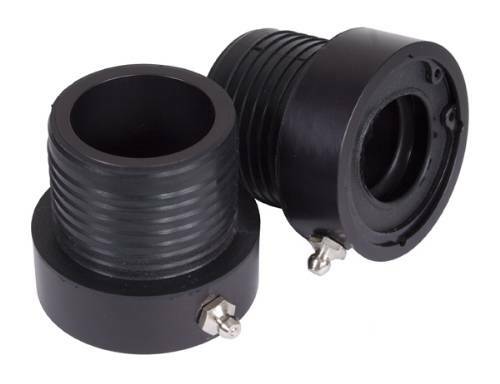 The CNC machined aluminum housings feature two seals to provide double protection from the crud. Will not fit 87-95 Wranglers with OE front disconnect axle. Must up-grade to 1 piece 30 spline grande axle. For use with all grande 30 spline axle upgrades and Rubicon Dana 44.